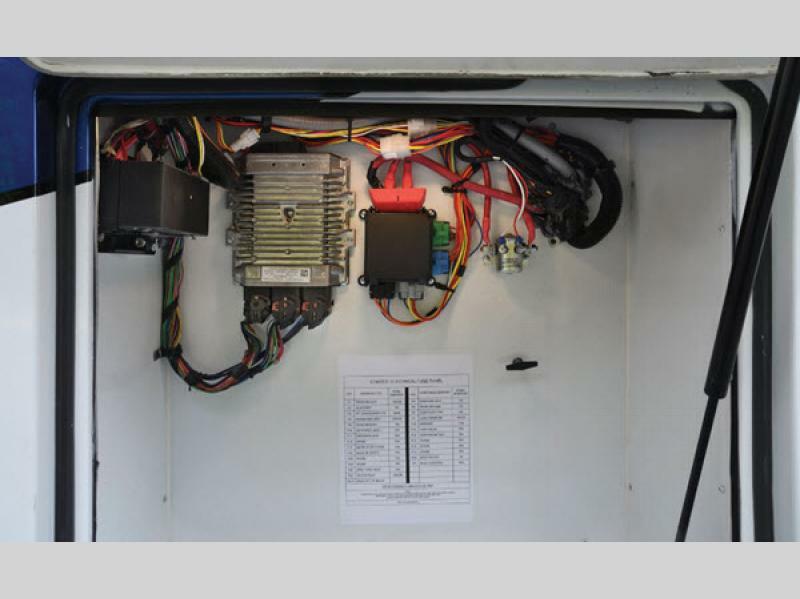 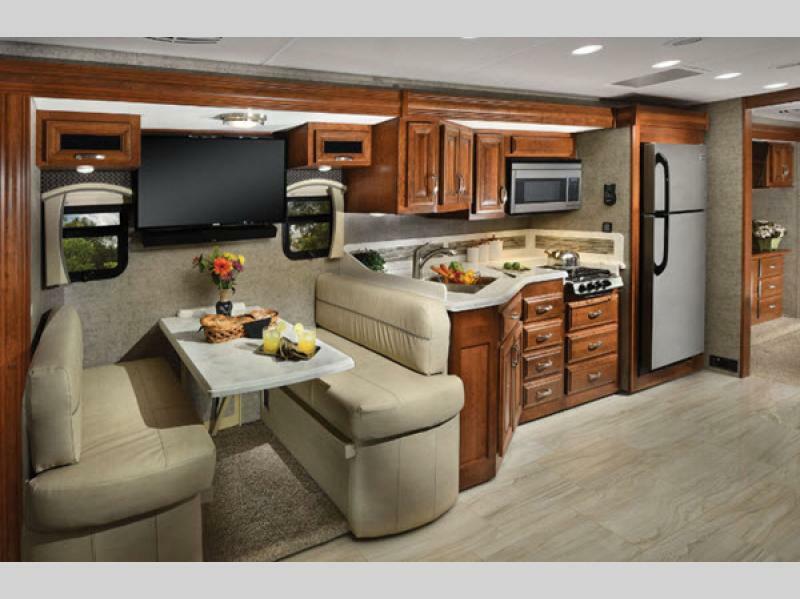 Forest River has reinvented the diesel class A motorhome with these Berkshire motorhomes. 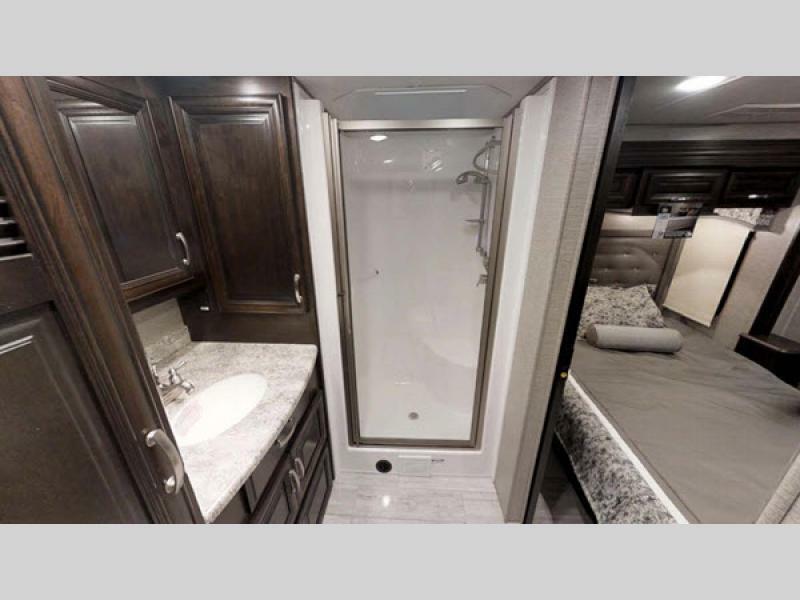 These units are luxury at its finest! 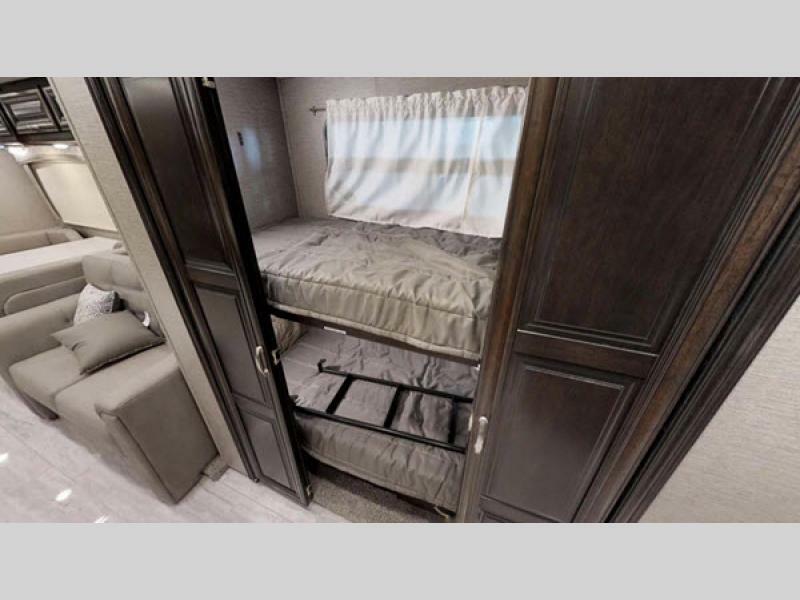 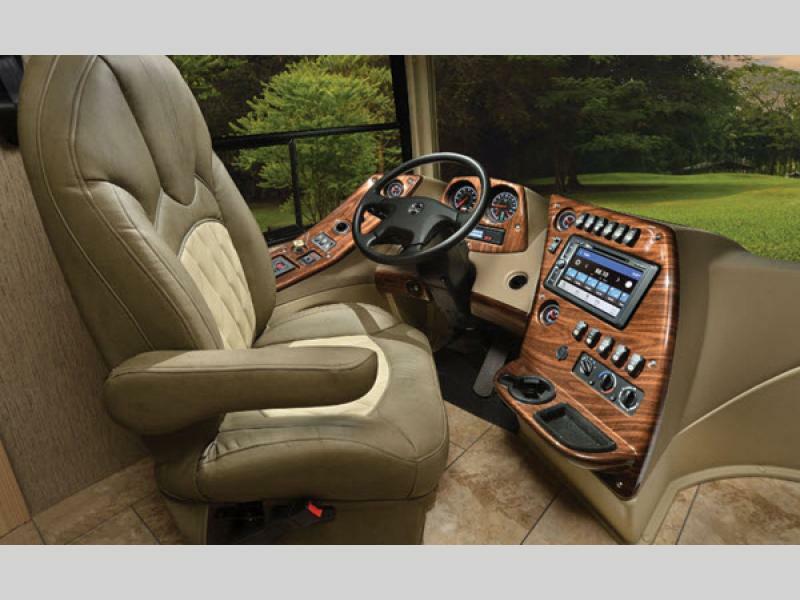 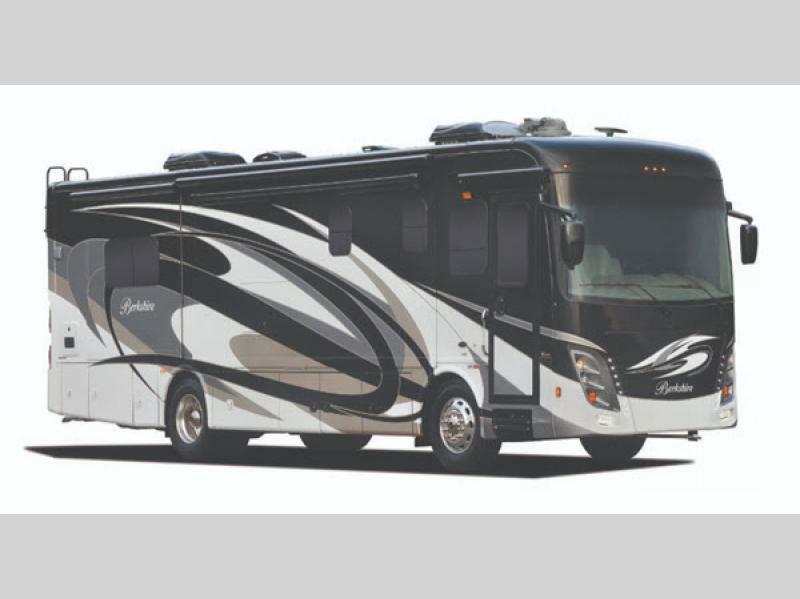 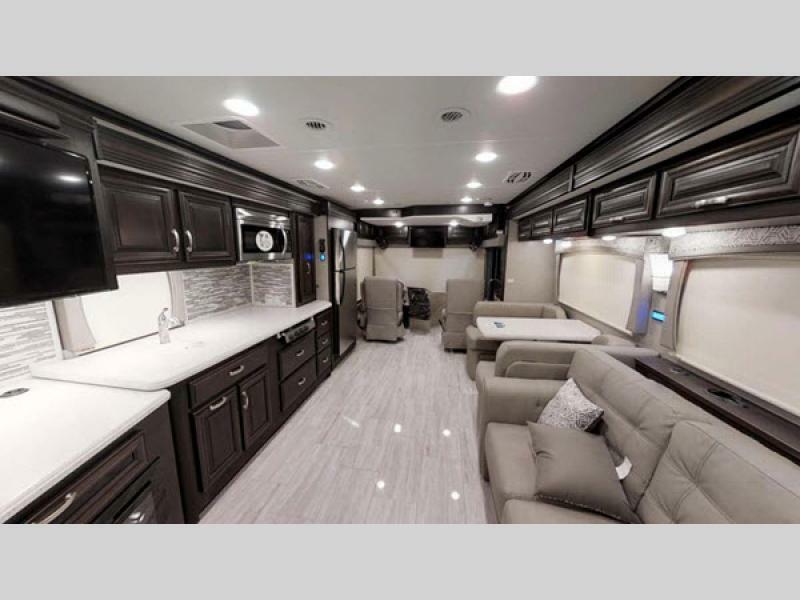 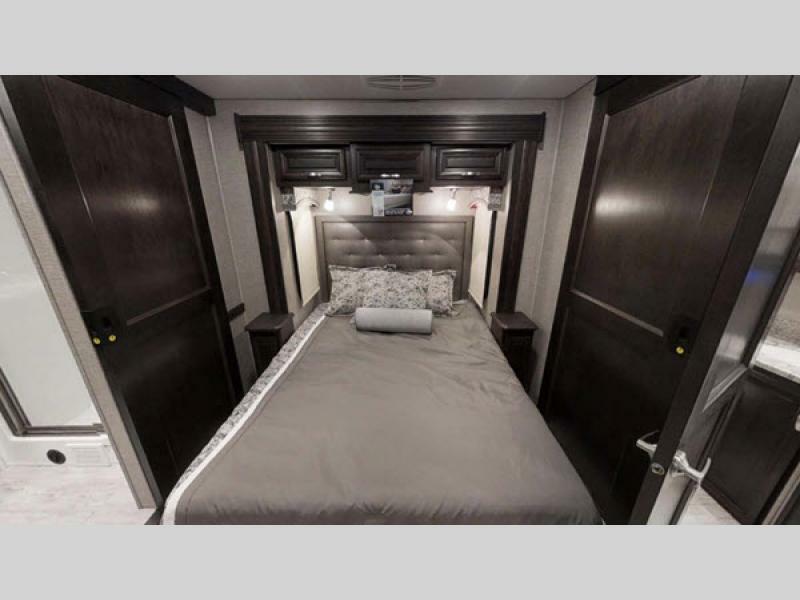 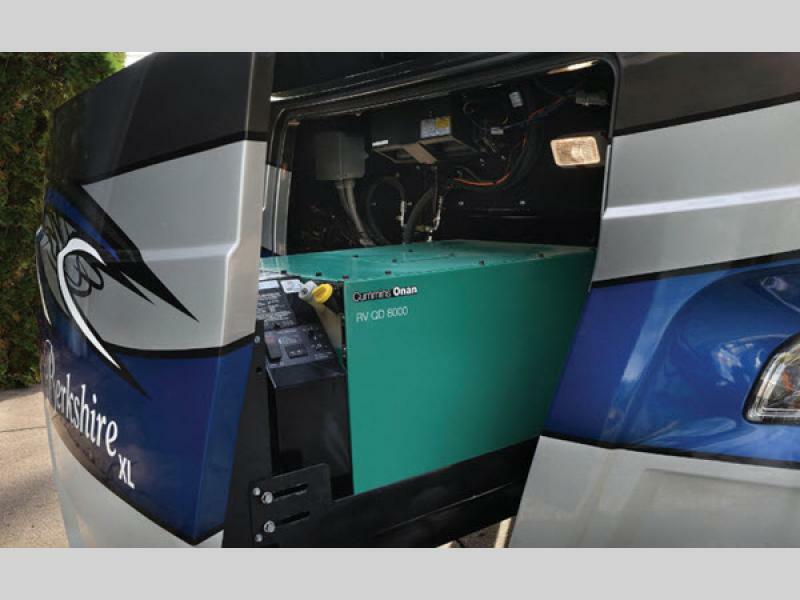 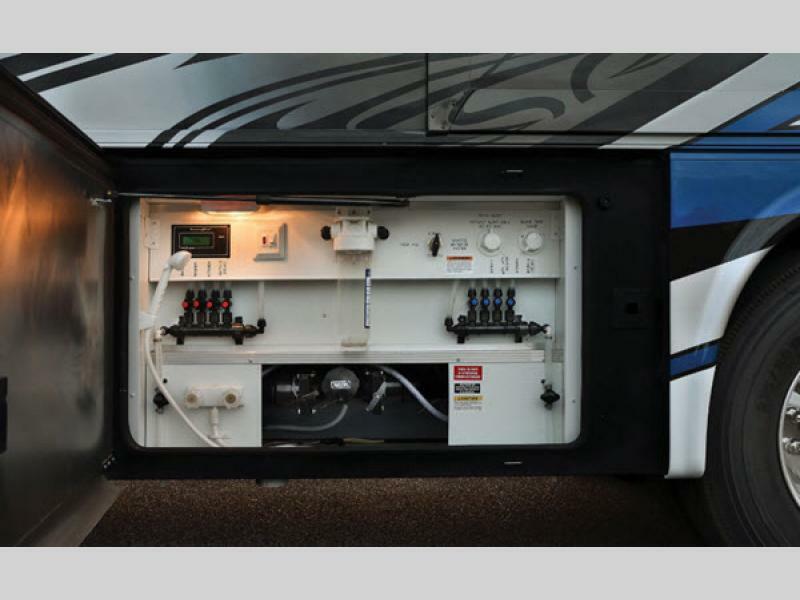 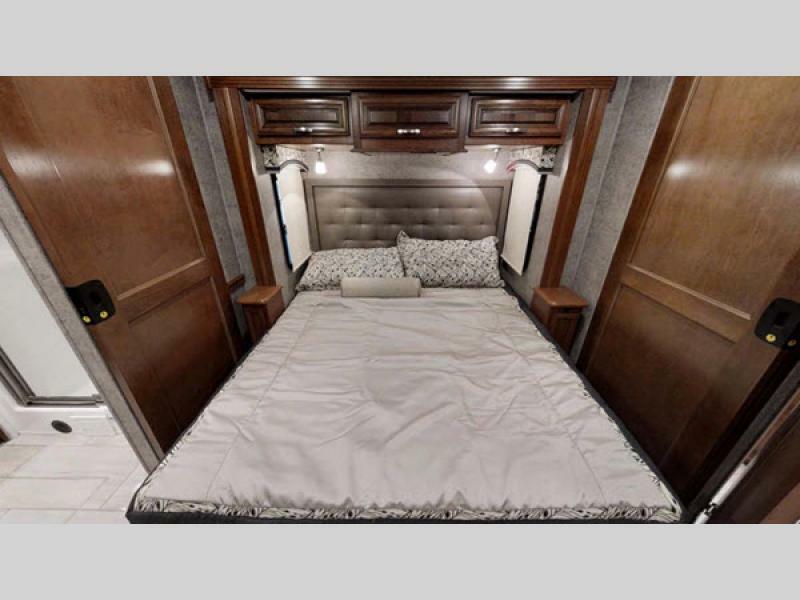 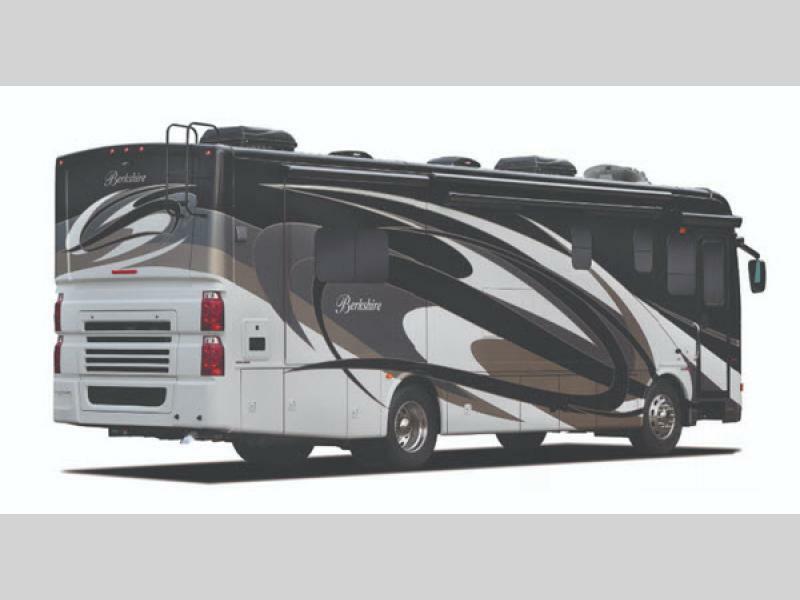 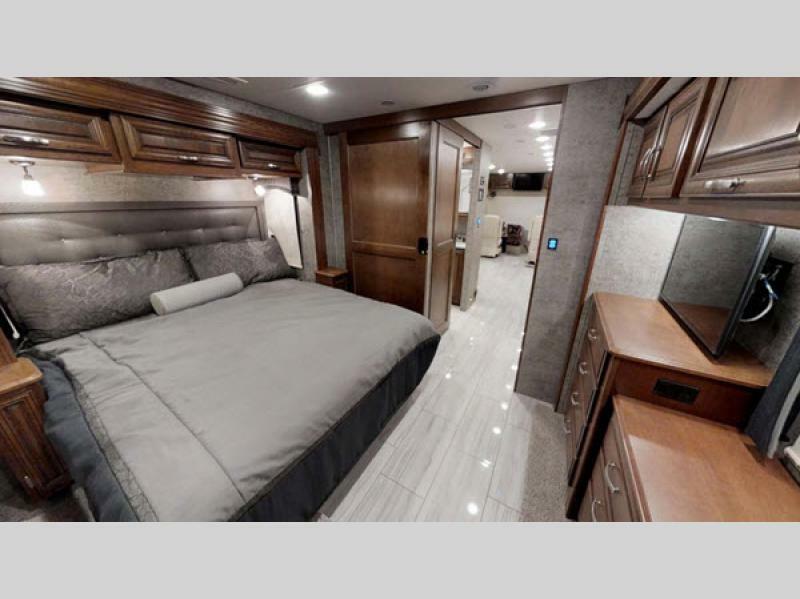 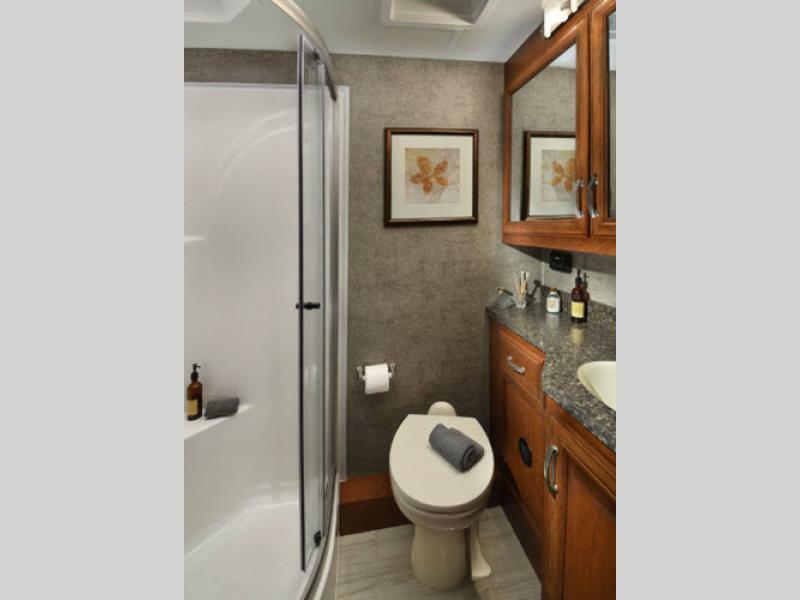 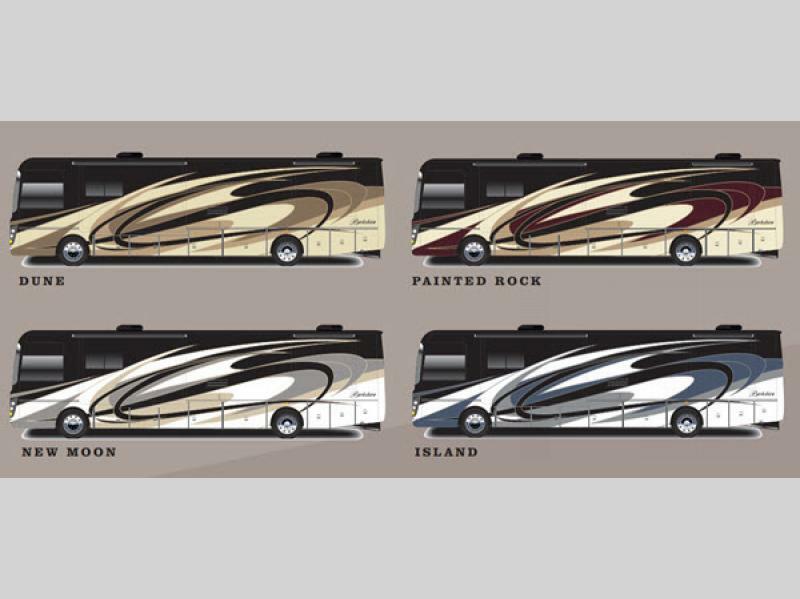 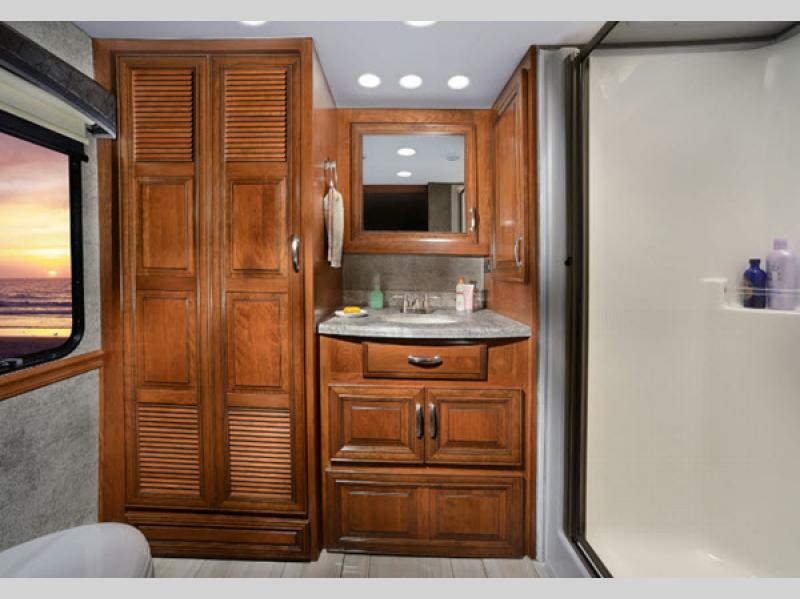 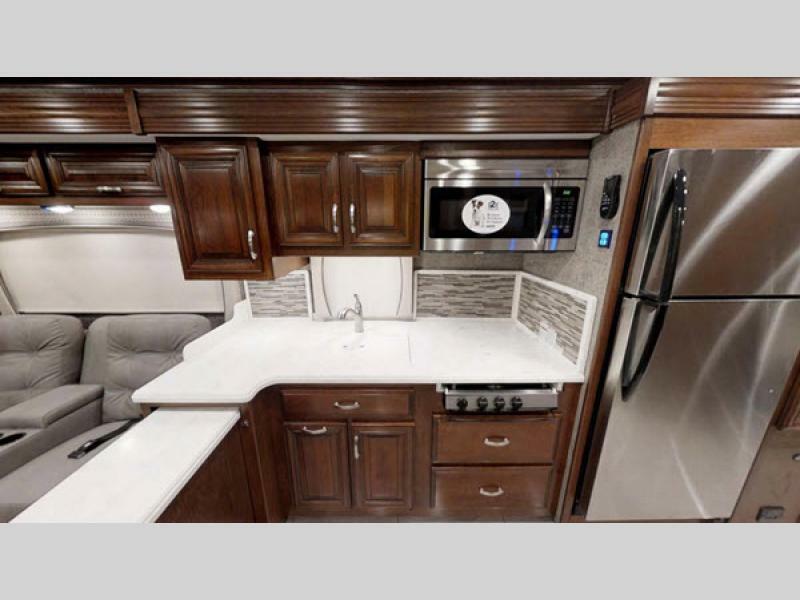 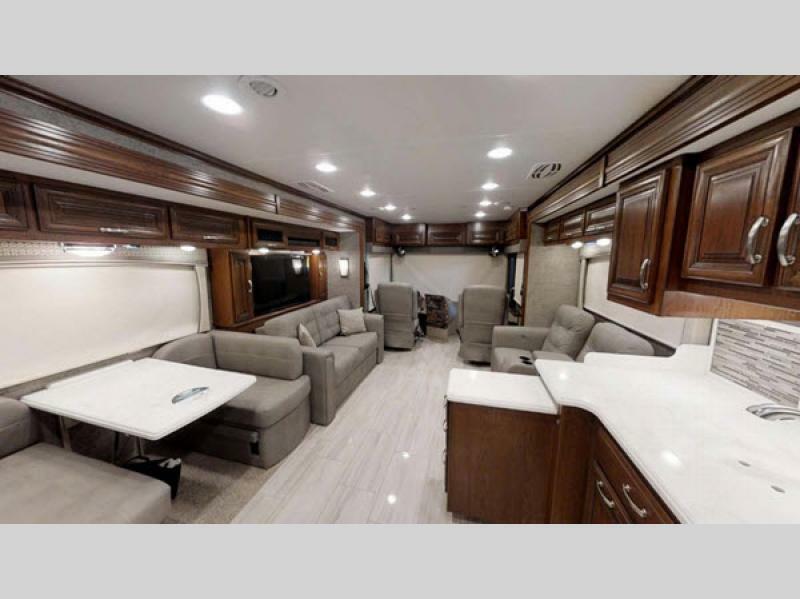 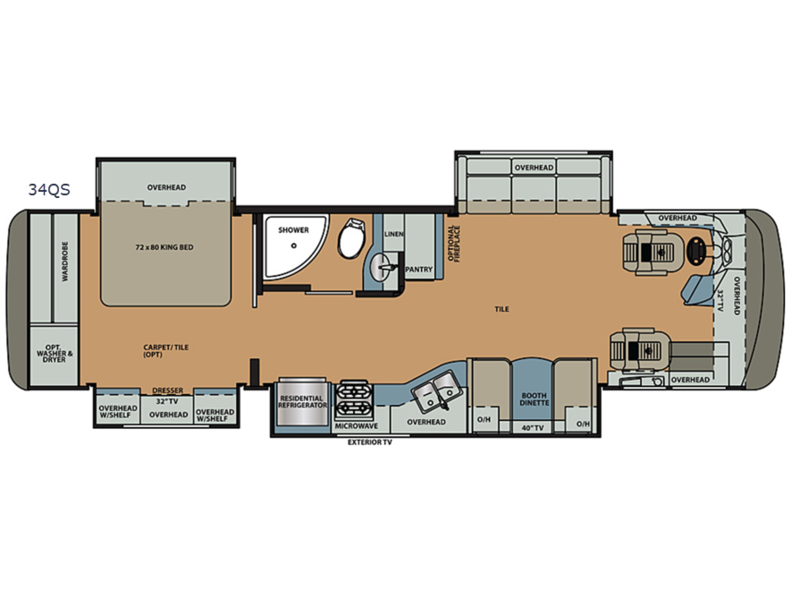 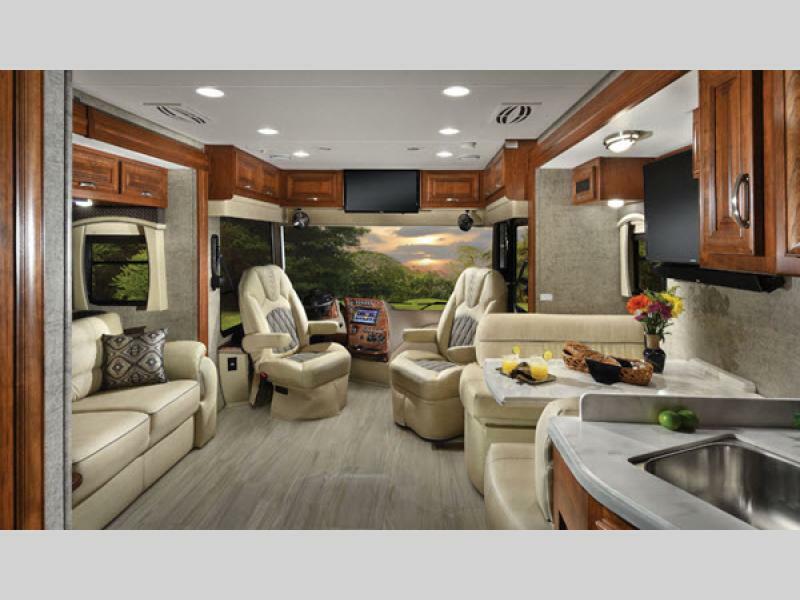 Berkshire offers all the amenities of a high-end luxury diesel motor coach at about the same price you would find a gas motor coach. 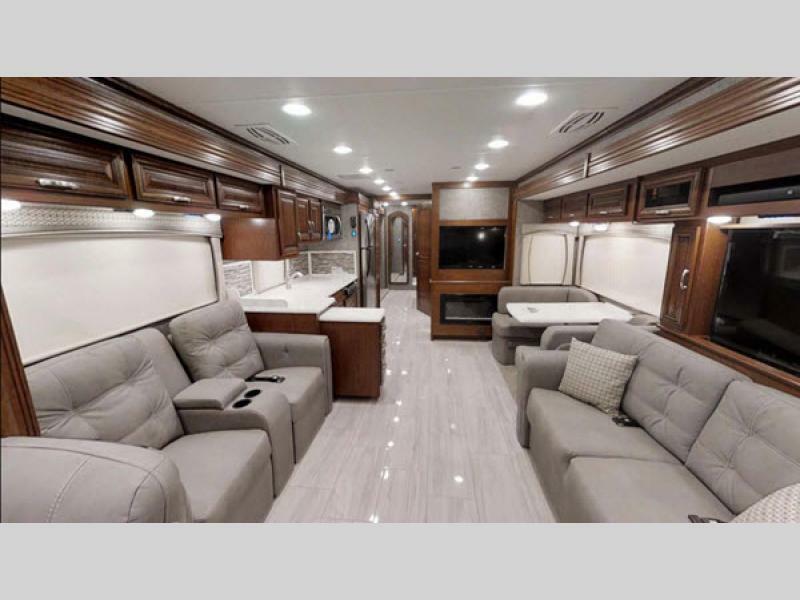 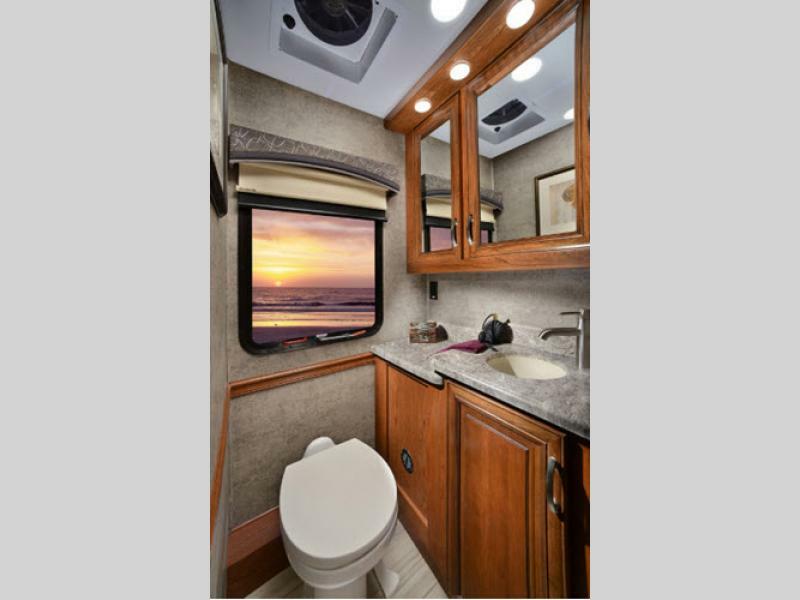 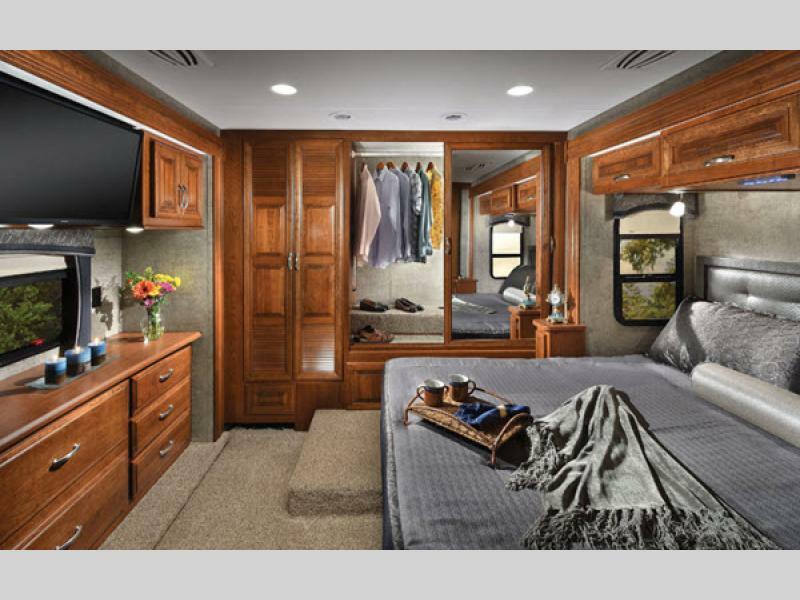 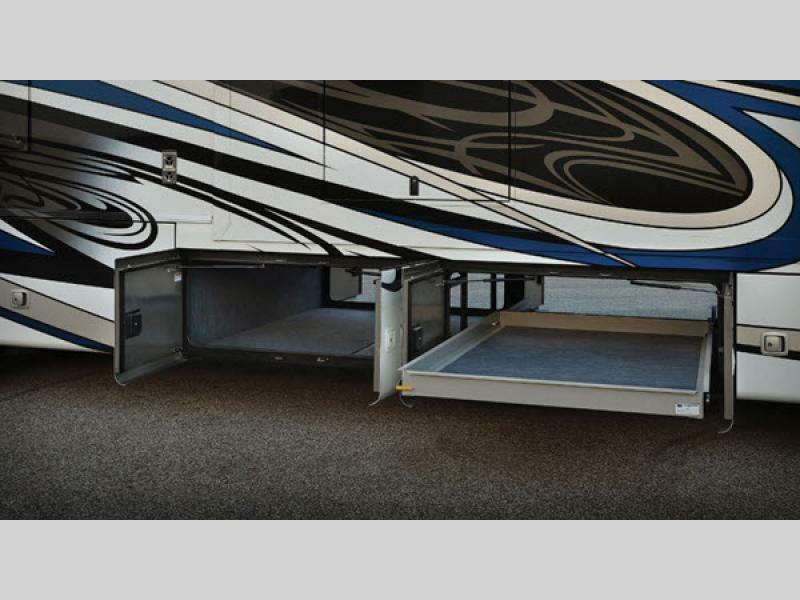 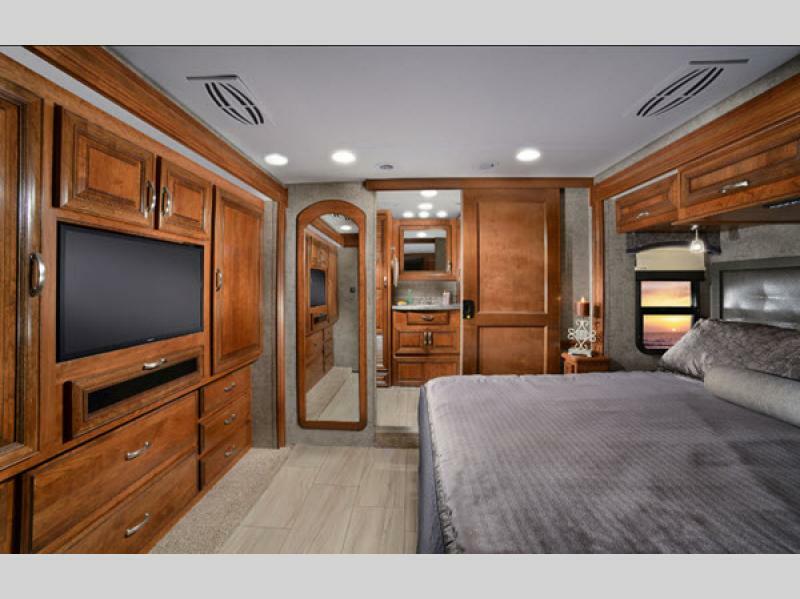 Built on a Freightliner Raised Rail XCR chassis with a complete pass-through storage, the Berkshire's standard features include a one-piece fiberglass roof, full-body paint, an electric generator slide out, a Carefree power door awning, LED TVs, and much, much more. 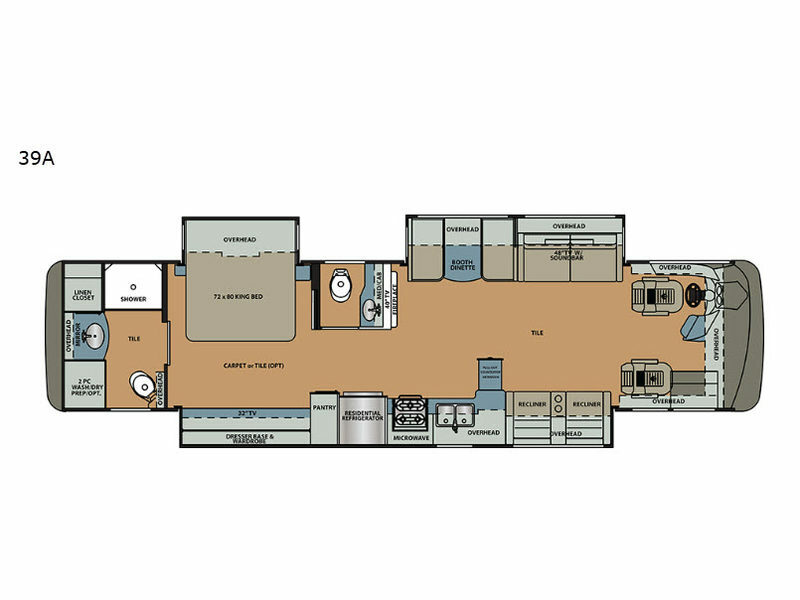 Two of the floor plans feature four slides and plenty of room for entertainment or full-time living, and all of the models showcase polished porcelain tile throughout. 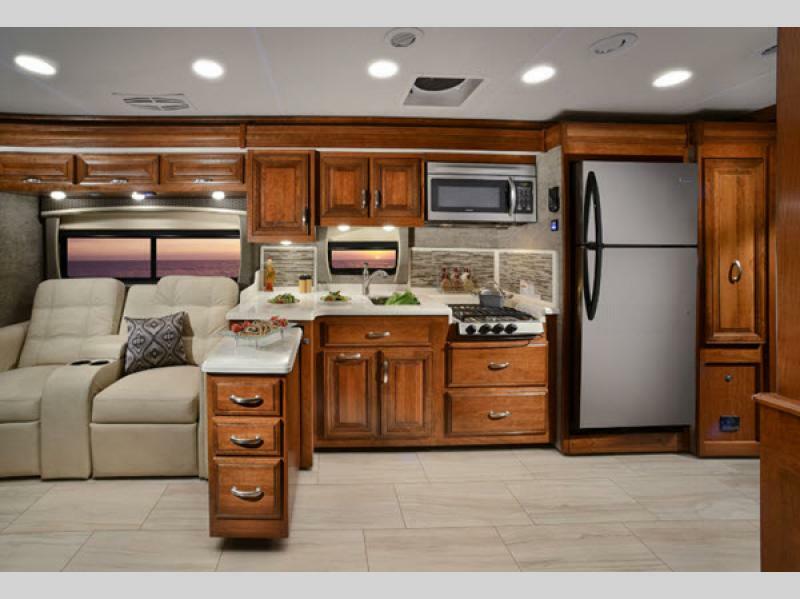 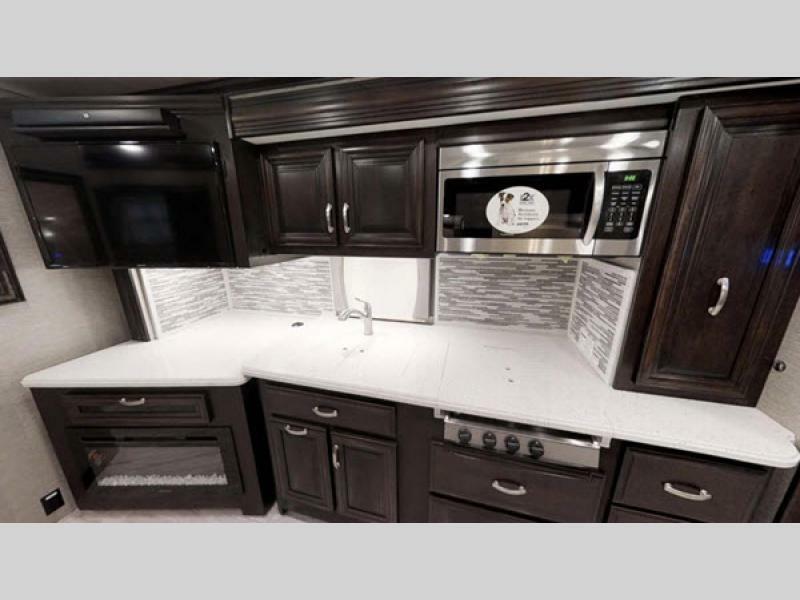 Plus, the Berkshire's kitchen is every chef's dream with its convection microwave oven, residential refrigerator, three-burner stainless recessed cook top, and pantry. 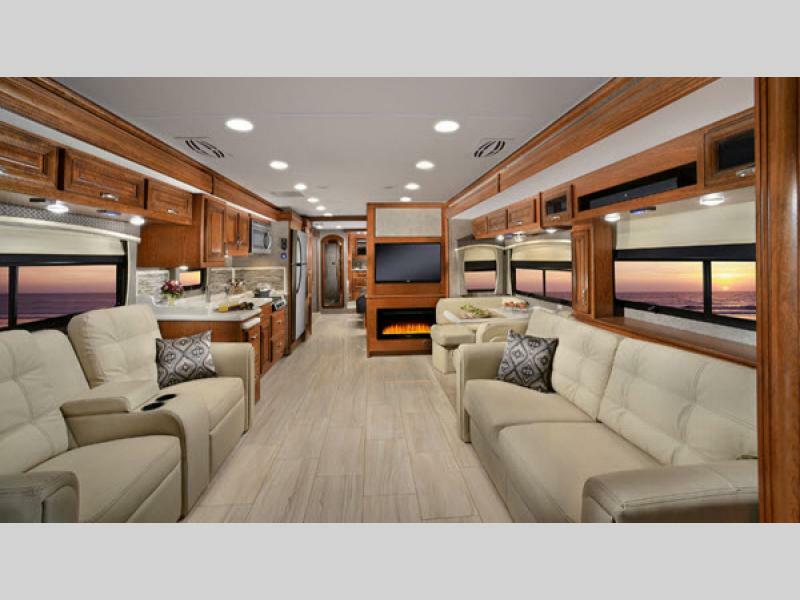 Today is the day to start out on a new adventure in your very own Berkshire class A diesel motorhome from Forest River. 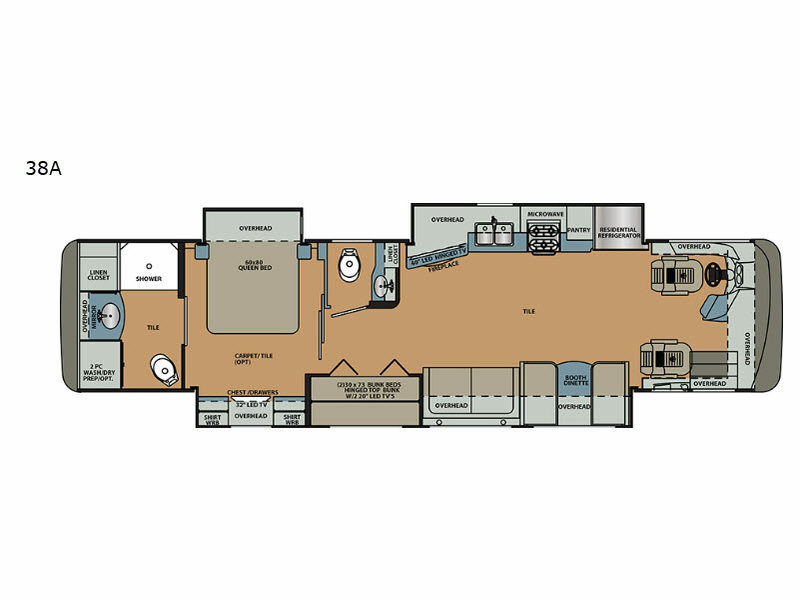 Basement Storage 183 cu. 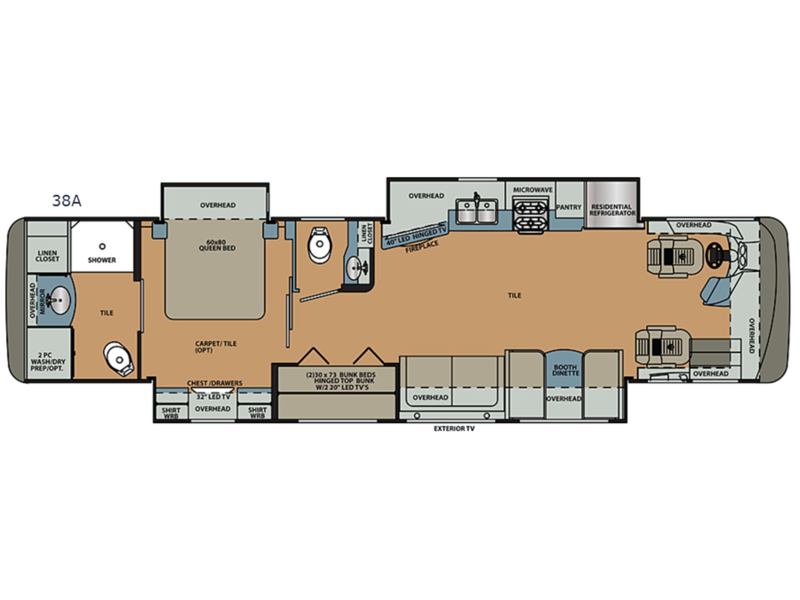 ft.
TV Info 32" LED LR, 40" LED LR, 32" BR, 32" Ext. 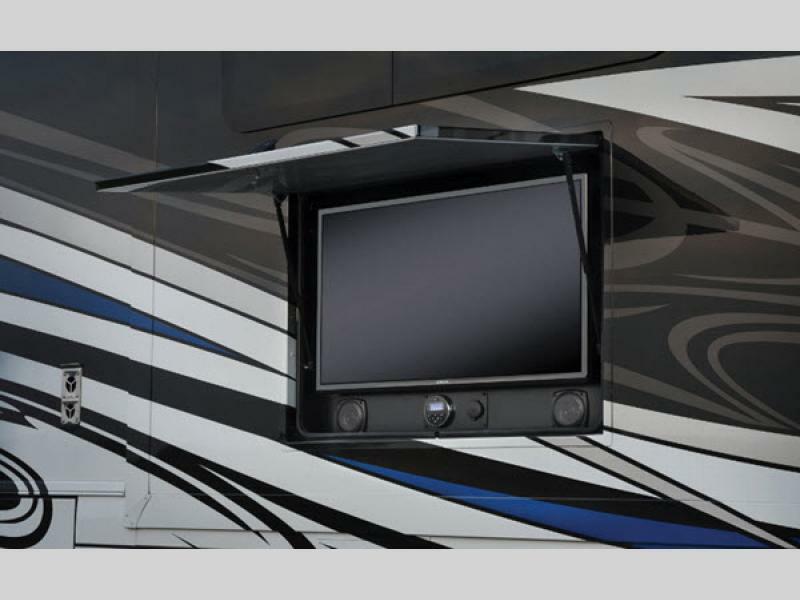 TV Info 40" LED Hinged TV LR, 32" LED BR, (2) 20" LED BH, 32" LED Ext.